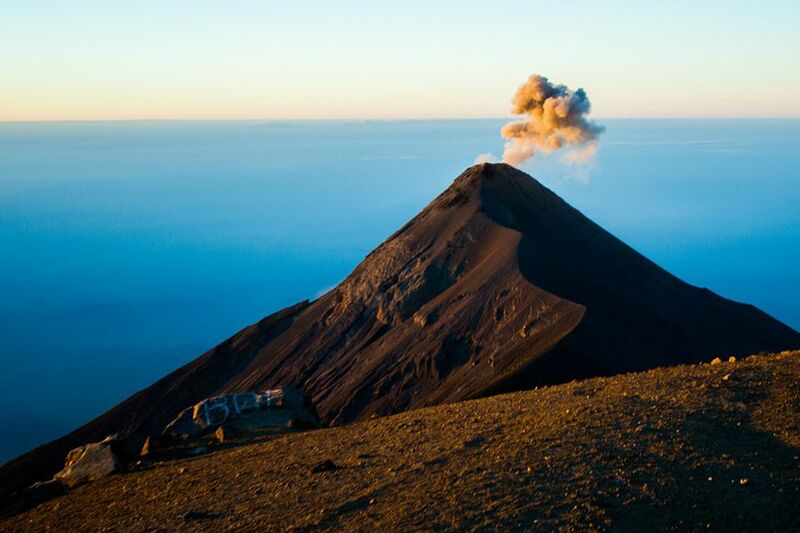 Summit Elevation: 3976 m - 11,928 Ft.
Volcan Acatenango, along with its twin Fuego, harbors one of the most beautiful alpine mountain environments in the Guatemala Highlands. Our trip starts at the trailhead of the small agricultural community of La Soledad on Acatenango’s northern flanks. Traversing through fertile fields on sandy soils the trail enters a thick and humid cloud forest, scaling through it to the mountains higher and cooler sub-alpine environment. 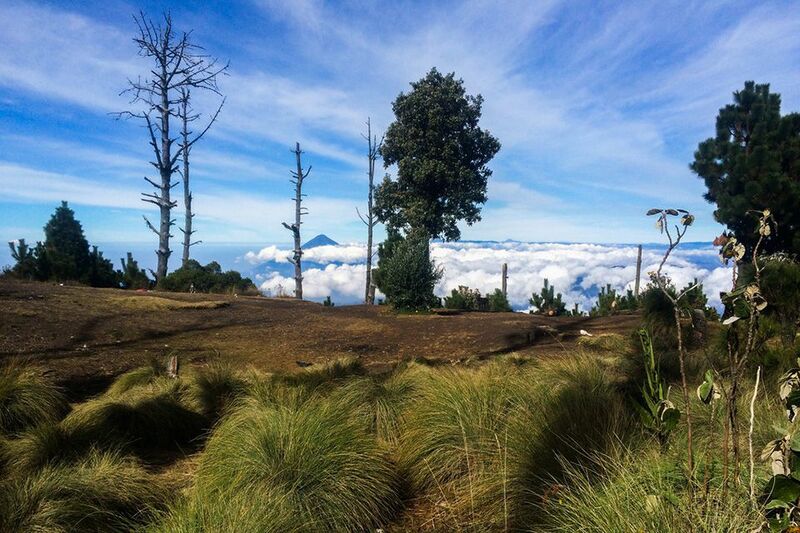 From here the climb goes through a pleasant pine forested slope, reaching tree line at 3800 meters on Acatenango’s smaller peak. A rest and refuel stop with glorious views over the crater, gets us ready for the final push, reaching Acatenangos summit at 13,044 Ft. 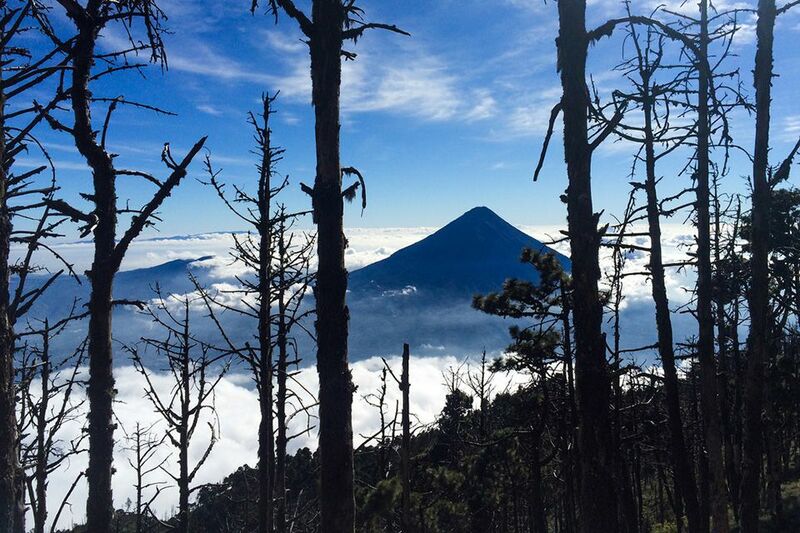 Setting camp atop Acatenango, our expedition guides provide all the camping and cooking equipment for a cozy night in the cone. With good chance, our front row seats of Volcan de Fuego’s crater, will prove worthy with plenty of action from its red hot glow!